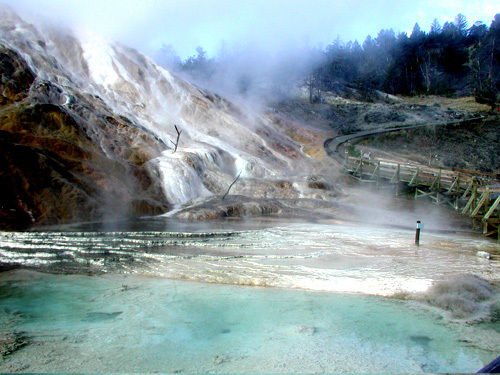 We stayed one night at Mammoth Hot Springs. 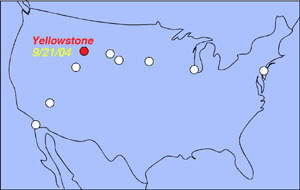 As Yellowstone NP occupies large area of north west Wyoming, you need to drive quite a lot to visit points of interests scattered around the park. 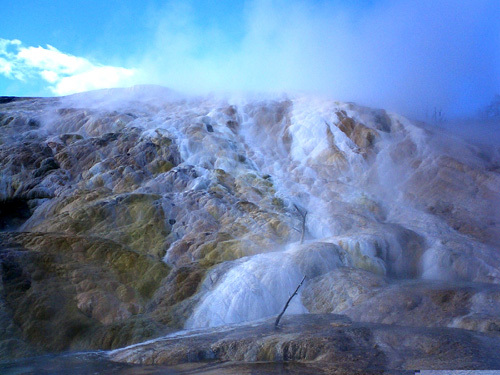 Here, thermophiles (heat-loving microorganisms) create coloful terraces. 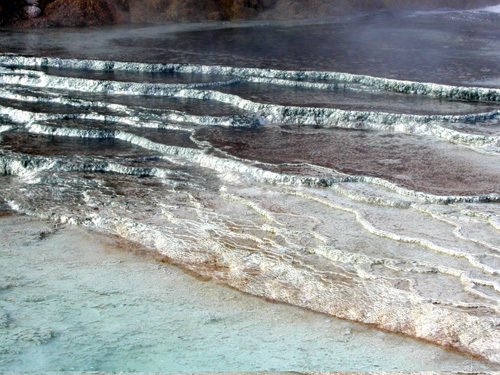 These terraces are like living sculptures that change color and shape constantly. 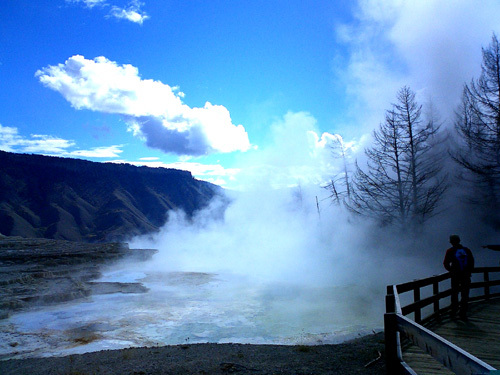 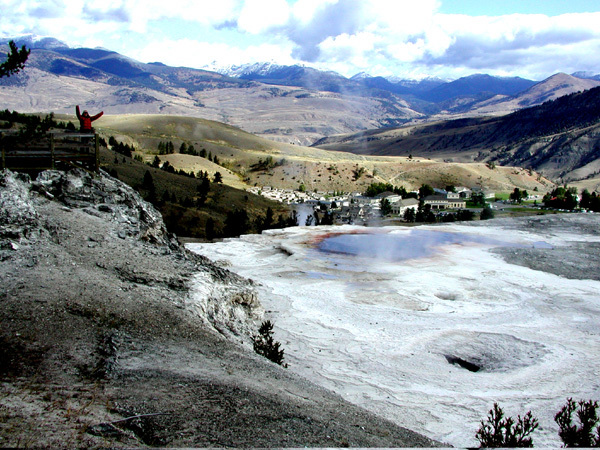 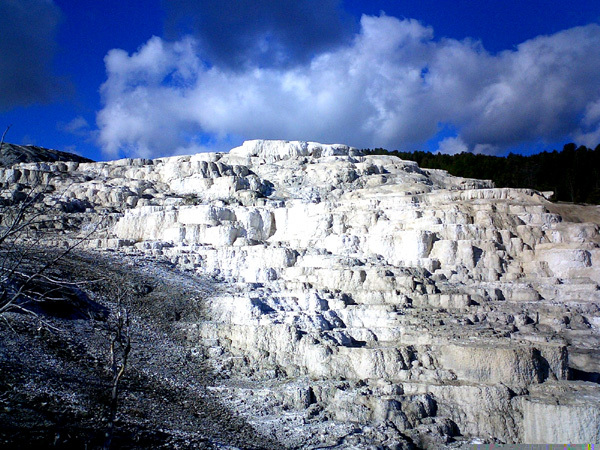 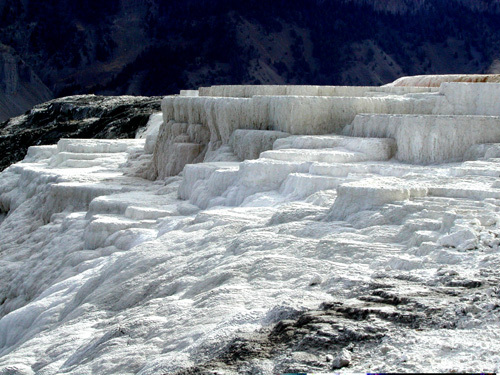 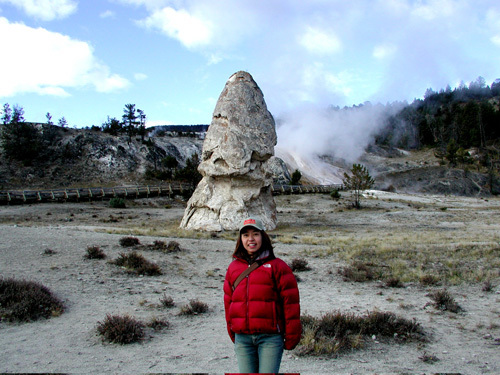 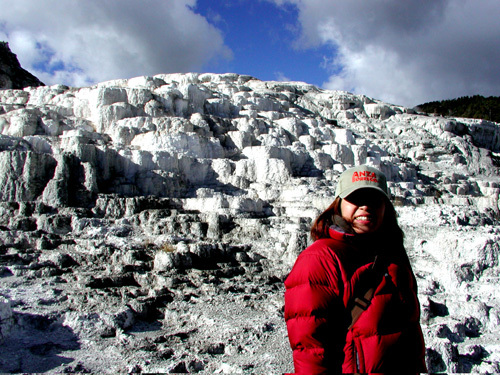 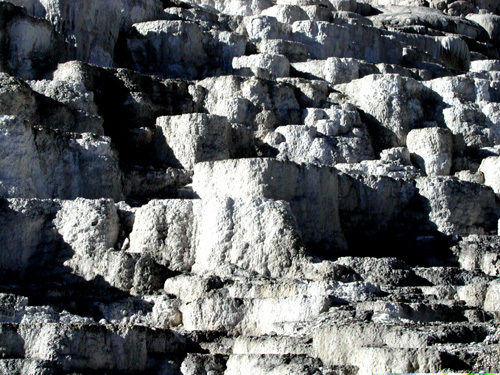 The beauty at Mammoth Hot Springs comes from heat, a natural pluming system water, and limestone.